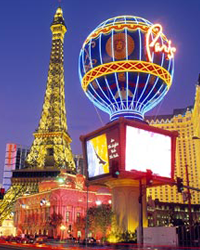 Las Vegas has always been considered as the gaming destination of the world with all the glitz and glamour attracting millions of gamblers every year. We often hear “Yes but its Vegas, what bearing does it have on Australian Gaming?” and sometimes this is true however on a recent visit to Vegas we learned a great deal more after spending one-on-one time with local Casino Managers. I was lucky enough to visit the Cannery Casino just on the outskirts of the main boulevard (20 minutes outside of Vegas) and was astounded on just how similar our industries are. Walking through the Casino we came across everything you would expect to find in Australian gambling venues but it was the reliance on food, entertainment, good service and direct marketing to gamers that really hit home. As our industry in Qld is only just embarking on loyalty and direct marketing, DWS clients frequently ask how much should be invested in players; generally speaking venues offer a range on return between 1-5% of player loss. When compared to some of the casinos in Vegas the general return sits at approximately 20%, you may ask how this is possible to maintain such a large investment. Quite simply put, venues in Vegas don’t rely on advertising in local newspapers or fancy magazines, visitors are enticed to join through a range of offers which then creates an active marketing database. Instead of spending money on newspaper adverts the budget is focussed on marketing direct to the player. It was also interesting to hear that all staff are required to visit a competitor at least 1 a week. Located in the office was a large pin board which captured all the marketing materials of the local competitors. So reflecting on the recent visit it shows that our market while might be a great deal smaller than the Vegas fanfare the principles behind increasing revenue and patronage is largely the same. Our current analysis and marketing programs seem to align with Casinos who have been doing this for years. DWS can assist with your loyalty program, gaming and marketing and we are more than happy to share our recent experiences with you.